The LIFE+ climate proofing social housing project has delivered packages of low-cost retrofit climate-change adaptation measures across three social-housing estates in the London Borough of Hammersmith & Fulham. By targeting social housing estates, the project has helped to reduce these relatively deprived communities’ vulnerability to climate change. The project has focused on green-infrastructure-based approaches, recognising the potential such measures have for increasing communities’ resilience to climate change whilst also delivering multiple other benefits, including improvements in biodiversity, visual amenity, play provision, local food production and air quality. 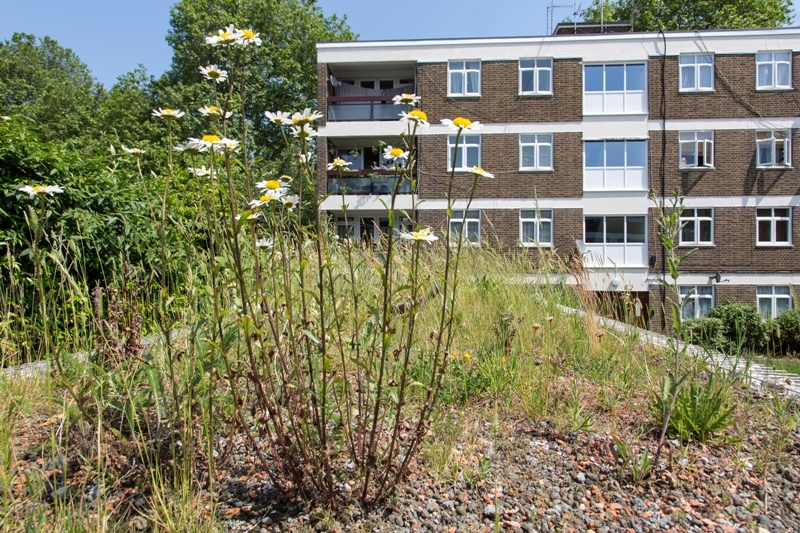 It shows how green infrastructure techniques can be retrofitted to existing social housing estates, which is vital since new build alone cannot deliver the resilience to climate change that is needed. The techniques used are also applicable to other types of development. The LIFE+ Climate proofing social housing project has delivered packages of low-cost retrofit climate change adaptation measures across three social housing estates in the London Borough of Hammersmith & Fulham. By targeting social housing estates the project has helped to reduce these relatively deprived communities’ vulnerability to climate change. The project has focussed on green infrastructure based approaches, recognising the potential such measures have for increasing communities' resilience to climate change whilst also delivering multiple other benefits, including improvements in biodiversity, visual amenity, play provision, local food production and air quality. The project is co-financed by the EU LIFE programme, which supports pilot or demonstration projects that contribute to the implementation, update and development of EU environmental policy and legislation. For this project the innovation is not a technological one. The innovation is in demonstrating how known green infrastructure techniques, with their many benefits, can be retrofitted on a large scale into existing social housing estates. This will be vital if we are to increase our resilience to climate change because focusing on new build alone will not deliver the scale or speed of change required. Groundwork London’s Landscape Architect team were responsible for all stages of the works, including site survey & analysis, feasibility assessment, design and contract administration. As detailed above, a number of other professionals have provided significant input to the project in the areas of community engagement, engineering support, and the provision of specialist design advice. The support and partnership working of staff within the London Borough of Hammersmith and Fulham has been central to the success of the project. Staff from the Council’s Housing and Flood Risk Management teams, and their external management and maintenance contractors have been central to the successful design and delivery of the schemes, from initial survey and analysis through to maintenance of the completed works. The project is unique, both in its scale and the scope of its outputs, in promoting the widespread retrofit of low-cost climate change adaptation measures in the urban landscape. 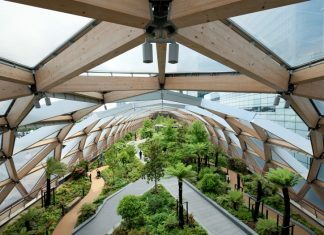 A garden on top of a railway station has been designed to unite communities as well as providing a green refuge in a pressured environment.